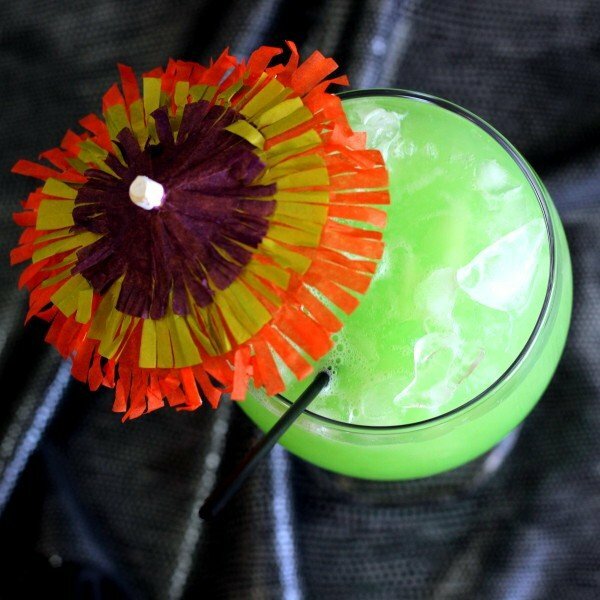 The Green Eyes Cocktail is inspired by tropical cocktails. 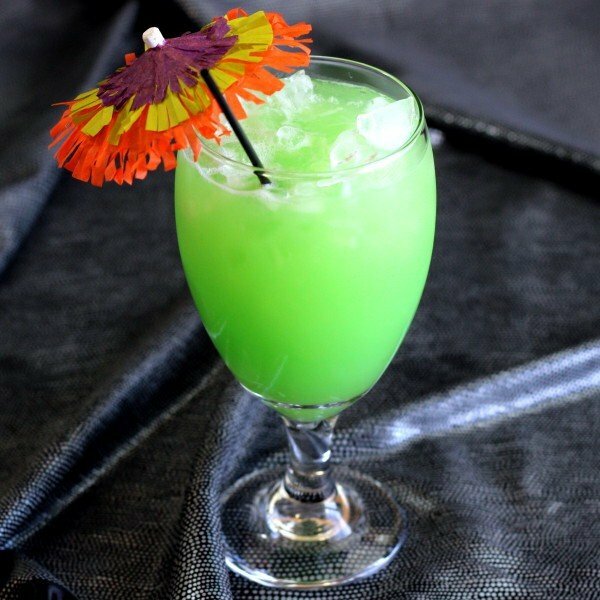 To the usual combination of pineapple, coconut, rum and lime, it adds Midori for an interesting twist. The melon notes from the Midori are strong here, but the pineapple is almost equal to it, and the lime helps it all blend into one note. The melon-pineapple combination is the dominant flavor here – sweet with a hint of sour – but the coconut and the lime add their own sweet and sour notes. Because it’s served over crushed ice, this is definitely a drink for warm weather. But when it’s cold outside, as long as you’re somewhere warm, it can make you feel like you’re at the tropics. Pour all ingredients into a mixing glass and stir until they’re all blended together. Fill a goblet halfway with crushed ice, and pour the mixture over it. Serve with a straw, and possibly a little umbrella. My drink bucket list gets longer as you post these wonderful things. Haha, that’s great to hear! What is sweetened coconut cream? I love all the different drinks. Great website. Coco Lopez is probably the most widely available brand of sweetened coconut cream. I find it in my grocery store “cocktail mixers” section.